In the time before time, a mysterious young man washed ashore on a golden beach, and a new legend was born. The legend OF THE BRICKMASTER (echo that last word). 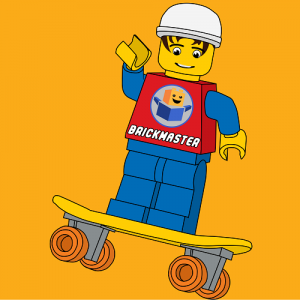 Armed with the skills of a master builder and unlimited access to the internet, the Brickmaster gained Brick enlightenment, learning as much as possible about LEGO's. He now resides in a cool house on top of a mountain where he offers his wisdom to anyone who brings something to offer him. Particularly a new LEGO brick or Kanohi mask.